It’s been a while since I mentioned a spiritual book to read, but today I’m going to share with you two! Almost a year ago, while I was reading, a phrase came across the page that I was not aware of. The author mentioned a prayer of the Church– The Liturgy of the Hours. I had no idea what it was, or how to pray it but I was deeply intrigued. After a few clicks of my fingers to Google, I found Divine Office.org and I haven’t looked back since. Liturgy of the Hours is the official prayer of the Church. 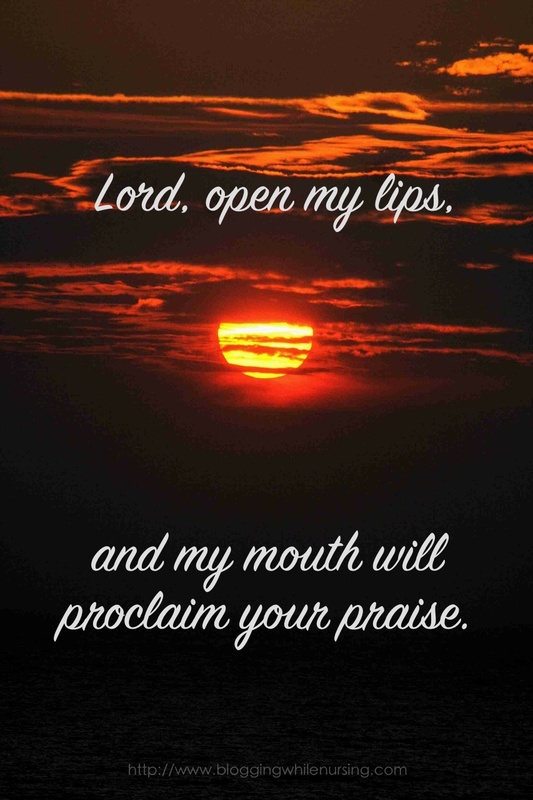 This prayer is to sanctify the day and remind us our greater goal. I think it’s a great way to reflect on the morning, and see what it is that I can do, to make sure that the rest of the day passes away mindfully. As a stay at home mom, there are plenty of times to “lose my cool,” since I also home school, it can by trying at times. What I love about breaking up my afternoon by praying (especially while the kids are present) because they see that my strength is not by “me” alone. I know I need help and God’s grace to get through the day. Children learn to pray by watching their parents. If there was anything that I did before the morning prayer that was not a true reflection of being an image of God, then I strive my best to remind myself of this as I carry out the rest of my day. Unlike Mass that requires a Priest, this Liturgy can (and encouraged) to be done by the laity. We can pray this alone, or in a group, and it is still Liturgy. I do own a Christian Prayer book, and I also have a Mobile App on my phone that helps me throughout the day. But What About All The Ribbons? I have to admit that looking at the ribbon placement was somewhat imitating at first, but then I realized that where you place the ribbons are entirely up to you. The red ribbon doesn’t have a meaning, or the blue or the yellow. They are markers for you to find your place–that’s it. The single prayer volume is a bit cumbersome at first, which is why I urge to pray along with the audible version found on Divine Office. Here, everything is found in one place, and is a great resource to reading the office text (more about that later). Once you make a habit of it, and become accustomed to the format (and of course wish to continue), I then would recommend getting the Christian Prayer Book (I would recommend this one for beginners since the hymns are also in back of the book). I started my devotion of praying the Liturgy of the hours, it was back in July 2014. What started off as curiosity, I have since learned to make it a habit. There are a few things that I have to work out still, but for the most part, I pray it everyday, Morning, Day, Evening and Night. 1. Don’t expect to do all seven prayers in the beginning. One of the biggest mistakes we can make is doing too much too soon. Like working out when we haven’t worked out in a very long time, we have start slow until we build up a habit. Only until then can we add more to our plate. 2. Make the time of the day to pray. One of the mistakes that I made was saying, Oh, I’ll have time to do it right after… and it never gets done. Something always come up. In order to sanctify the day, we have to plan to make time for prayer. Now this works with all prayer, not just the LOTH. The Morning prayers were the hardest for me (still is sometimes after several hours of staying up with my toddler), but I set an alarm to wake me up before the kids wake up. This gives me a good 40 minutes or so to pray the Invitatory and Morning Prayer. 3. Internalizing the prayers: God come to my assistance, Lord make haste to help me. A perfect reminder that I need help throughout the day. Sometimes, I feel like not all the prayers are “meant for me” but there is a great book, The Everyday Catholic’s Guide to the Liturgy of the Hours. This book as helped not only as an introduction but an awesome inspiration to start praying the Liturgy of the Hours if you’re not doing so already. 4. Do the best you can, mistakes can happen but don’t let it stop you. I used to get so upset when I realized that I was in the wrong section for the prayers. Especially if it was a feast day, or a day recognizing a Saint (that is where things can get confusing), but over the months, I’ve learned to take this in stride. Of course I want to pray the correct prayers for each day, but mistakes will happen–I’m human. For those confusing days, I’ve learned to glimpse at the online resource of Divine Office to help me along the way. 5. A time of rest. I’ve learned that this time, is my time of rest–when I pray. It’s not a burden, but a chance to get closer to God. I love starting my prayers with the notion and idea that I work for the Lord, I sacrifice for the Lord, and these words that I’m reading and praying not only gives Him praise, but it helps me with my trouble and replenish my strength. Just like a child will run to their mother with tears in their eyes looking for comfort, I too run to my heavenly Father, not only to give praise, but to bask in His love, and mercy. Since praying the Divine Office, I have become more conscious of what it is I’m thinking and saying, and doing. “Slipping” happens, but I am enjoying the journey so much. Like so many great things, we tend to thirst for more, but once when you start this Liturgy, not a day will go by where you want to miss or skip a day. Overall, taking scheduled time out our day to pray to God is a great way to work our lives around God, and not the other way around. It is a wonderful reminder that I don’t have to fit in God, I need to fit in my other work. Do you pray the Liturgy of the Hours? If so, when did you start? Follow Kalley C’s board Catholic Spiritual Reading on Pinterest. Follow Kalley C’s board Blogging While Nursing Posts on Pinterest. 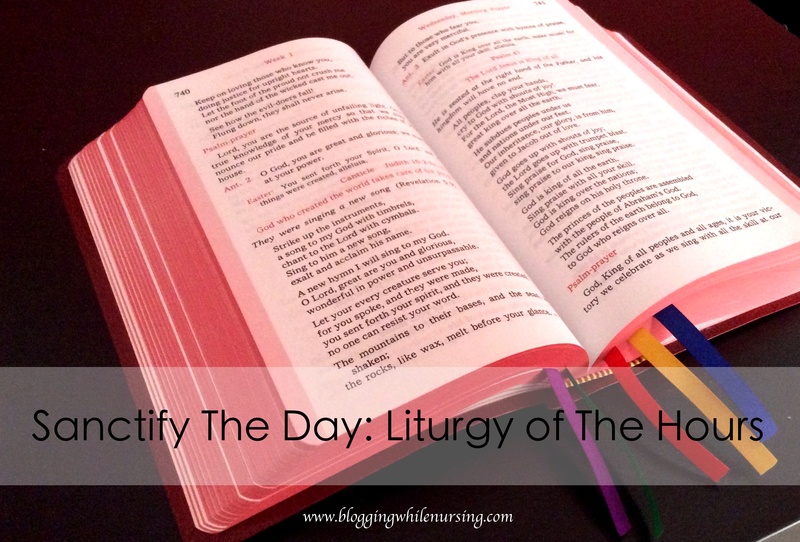 1 Comment on "Sanctify The Day: Liturgy of The Hours"